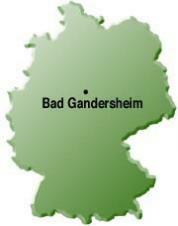 With a population of around 12,500, Bad Gandersheim is situated in the Lower Saxony region of Germany. The town's origins can be traced back to the 9th Century, when it was an important administrative centre. 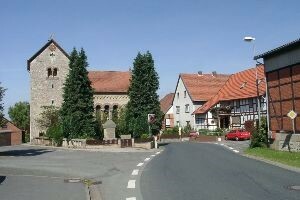 However, it was not until the mid 18th Century that the town reached its cultural zenith under the rule of Aebtissin Elizabeth Ernestine Antonie of Saxonia Meiningen. Today the baroque wing of the abbey, the Emperor Hall, with its paintings and coats of arms, is well worth a visit, and the town prides itself in the activities and events it can offer tourists - particularly its open air festivals and concerts in the grounds of the cathedral. The Skegness Twinning Association has been running for over 30 years and members meet monthly at the North Shore Hotel. The objects of the association are to promote friendship and understanding between the people of Skegness and Bad Gandersheim. The association has a very good social side and continues to raise funds to help with costs when we have an exchange of visitors. We normally have visitors every two years.